Throughout history, no subgroup of people has experienced as much oppression, institutionalized discrimination, and outright hatred as the world's Ferrari owners. Woe are these poor souls, these seekers of speed, as they strive to overcome whilst maintaining a modicum of dignity in their lives! Okay, I'm exaggerating. 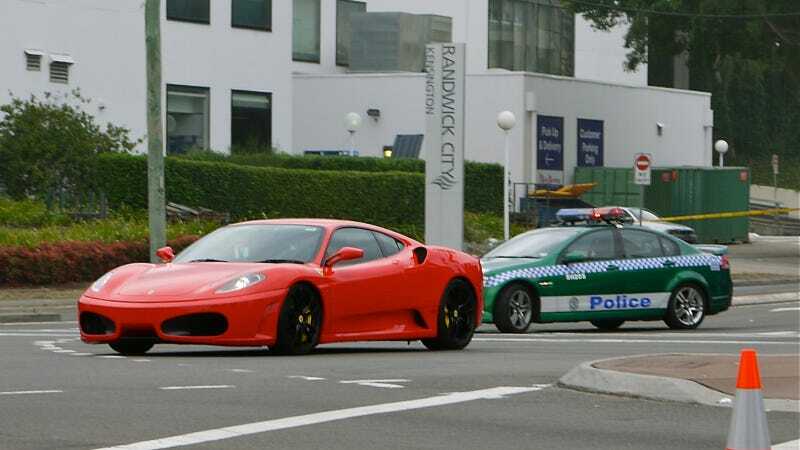 But one Ferrari owner in Aspen, Colorado, claims his local cops are targeting Ferraris just like his. According to the Aspen Daily News, multi-millionaire and red Ferrari driver Marc Ostrofsky claims the town's police force is actively "discriminating against that type of car owner and pulling them over more compared to the average motorist." Ostrofsky claims he was nailed for doing 49 mph in a 25 mph zone in late August, but when he was cited the officer only wrote him a ticket for going 34 mph. Ostrofsky denied speeding at all, and demanded to a municipal court judge that the officer take a lie detector test, for which he pledged $10,000 of his own money. But the judge wasn't having any of that, and so Ostrofsky pled not guilty to speeding 5 to 9 mph over the limit only to later change his plea to no contest because he's too busy to deal with the court proceedings. But Aspen Police Chief Richard Pryor (awesome name) claims the department targets no one, and they actually only hand out tickets to some 12 percent of stopped drivers. As for the speed discrepancy, Pryor said claims officers cite for less than the recorded speed to make the penalty less detrimental to the owner's license. In the meantime, Ostrofsky has to take an online defensive driving course.